Dozens of stallholders, craftspeople and demonstrations will grace Sherwood Forest for the second annual Major Oak Woodland Festival, Sponsored by Woodhead and Edwinstowe House next month. The event is organised by Nottinghamshire County Council in partnership with The Sherwood Forest Trust and will take place on September 12 and 13 between 11am and 4pm each day. 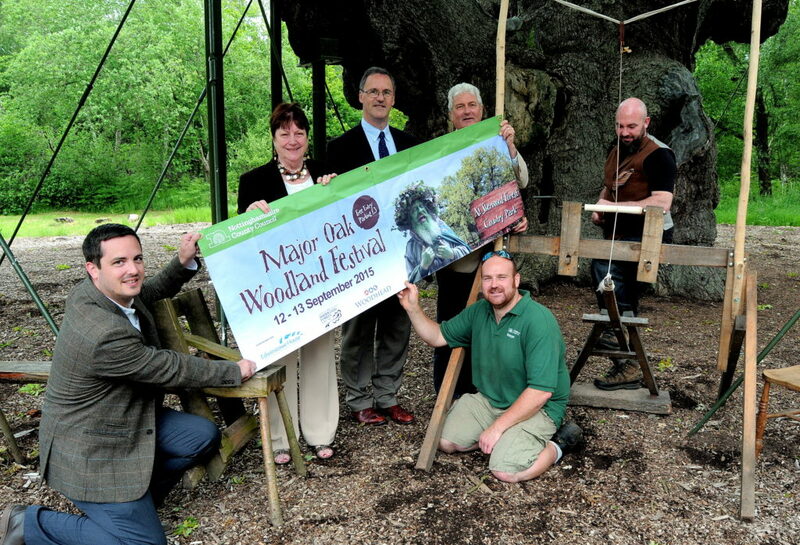 The event is a celebration of the forest as traditional and modern woodland crafts and skills are displayed and celebrated in the historic forest.The autumn event is a highlight in the calendar for the iconic Major Oak which is the current holder of the Woodland Trust’s England Tree of the Year title following a public competition. Gary Hackett, who makes hand crafted Bushcraft and Woodcraft knives and other tools using traditional methods with oak and yew wood handles, and founded Hackett of Sherwood based in Mansfield. Councillor John Knight, Committee Chairman for Culture at Nottinghamshire County Council, said: “Last year was the first year we hosted this event to celebrate 60 years of Sherwood Forest as a Site of Special Scientific Interest and it was such a success we have decided to host it again. Robert Woodhead Ltd is an award-winning company that specialises in the design, construction, refurbishment, conservation and repairs and maintenance of buildings. Sponsoring the Woodland Festival is part of the company’s vision of celebrating and raising awareness for traditional heritage crafts. Edwinstowe House is a business services provider headquartered in the heart of Sherwood Forest that provides commercial property management, serviced office space, conferencing, training, and business support services.